General Information: This broad, sweeping, conical-shaped evergreen has graceful, flattened, fern-like branchlets which gently droop at branch tips. Hinoki Falsecypress reaches 50 to 75 feet in height with a spread of 10 to 20 feet, has dark green foliage, and attractive, shredding, reddish-brown bark which peels off in long narrow strips. The easiest false cypress to keep alive is the Hinoki cypress, C. obtusa. Many report great success in growing it, but unfortunately, it seems to be one of the most difficult to keep in proper bonsai form due to the whorling fan patern of the foliage. Boulevard cypress (C. pisifera 'Boulevard') and Chamaecyparis thyoides 'Andelyensis Conica', Andelyensis cypress, seem to be the varieties which cause the most grief. Lighting: Full sun, in all but the hottest climates, is ESSENTIAL. Without proper lighting, lower and inner branches brown and die, which is a serious problem because Chamaecyparis will not bud back on old wood. Many books recommend putting these trees in the shade, but this seems to be a strategy to avoid having the soil dry out completely (see watering, below). Temperature: Zone 5 - 8A. Most Chamaecyparis species are hardy to -10F, but are in danger of die-back from cold, drying winds. Some degree of frost/wind protection is advised. Lesniewicz claims that C. pisifera 'Plumosa,' C. pisifera 'Nana Aurea,' and C. pisifera ' Squarrosa' can be grown indoors, in a bright, airy location away from any heat sources. Watering: Touchy. Many varieties, especially Boulevard/blue moss cypress, are very vulnerable to root rot. However, unlike most genera that like it dry, false-cypresses tend to drink a lot of water, especially when in an active growth phase. And Chamaecyparis can never be allowed to dry out completely. Also, drying winds can cause foliage die-back. The best strategy is to use very fast-draining soil, water moderately, allow it to dry somewhat between waterings, and supplement watering with frequent misting. Also, an older couple in the Buffalo Bonsai Society with some very nice Chamaecyparis advised me to water only in the morning to early afternoon, to avoid having the trees stand in water overnight. Feeding: Every two weeks, from early spring to midautumn. Use Miracid, as Chamaecyparis is a lime-hater. An extra tip from Brent: for blue varieties (Chamaecyparis pisifera 'Boulevard, Chamaecyparis lawsoniana 'Minima Glauca') water occasionally with 1 teaspoon/gallon epsom salts. This will provide added magnesium which turns the foliage an intense blue. Pruning and wiring: The major styling challenge for false cypress is the fatal combination of rapid growth, die-back from lack of light, and refusal to bud on old wood. If Chamaecyparis isn't pruned constantly, inside and lower branches will die and never grow back, making bonsai maintenence a headache. The tree is best shaped through constant pinching of new foliage - never use scissors to prune as foliage browns where cut. 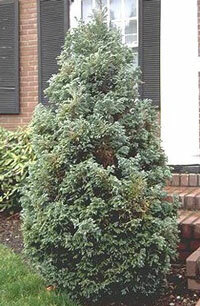 Hinoki cypress also tends to form awkward whorls of foliage if not properly pruned. There is an excellent article by Kamajiro Yamada in International Bonsai 1995/No. 3 which gives detailed instructions accompanied with photographs of how to do this. Most false cypresses are easy to wire, but branches may take a while to set and may need to be re-wired several times to avoid cutting in to the tree. Can be wired at any time of year, but as wiring seems to sap the vigor of the plant, it is best to wait three months after repotting to wire. Propagation: Cuttings can be taken from young wood in July or August. Hinoki cypress cuttings will root readily. Can be grown from seed, but needs cold pre-treatment and may take up to a year to germinate. Veneer grafting can be used on Hinoki cypress in summer. Repotting: Every two to four years in early to mid spring for young trees, every three to five years for older ones. Your soil mix will depend on your conditions: fast-draining is the best idea for most people, but a richer mix might be preferable in extremely hot areas to keep the roots from drying completely. Hinoki cypress roots easily, and may need to be repotted every second year, removing as much as 1/3 to 1/2 of the root mass. Avoid using pots which are too large, especially with Boulevard cypress, as this keeps them too wet. Pests and diseases: Pests: Juniper scale can be controlled by applying pesticides when the crawlers are active. The bagworm webs dead foliage and other debris together to make a nest. The covering makes the insect difficult to control. The nests can be picked off by hand. 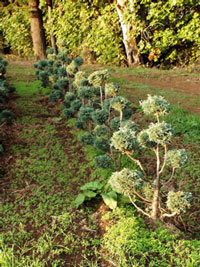 Diseases: Blight can be a problem on young plants in nurseries or old plants in landscape situations. In young plants, branch tips turn brown and die back until the whole branch or young tree is killed. 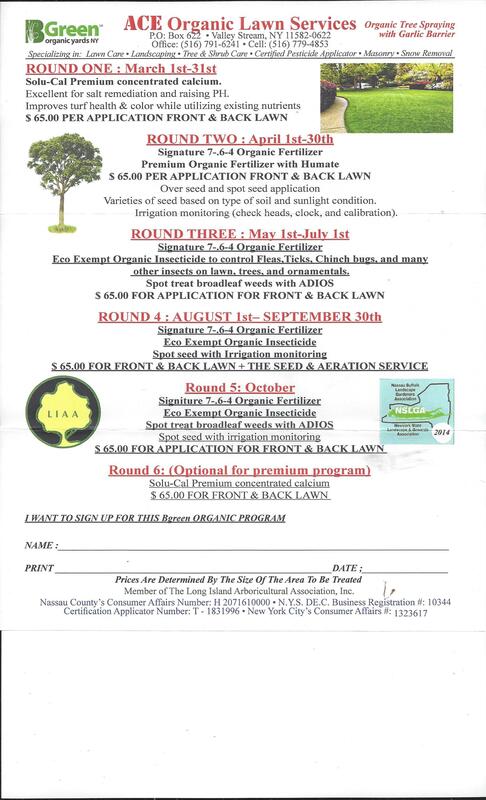 Trees over five years old are less susceptible. When older trees in landscapes are affected by tip blight, entire trees are seldom killed. Tip blight can infect trees during wet weather. The disease causes sooty pustules on the leaves, bark and cones. Scorch may look like a disease but is caused by excessive direct sun, freezing stress, drought or mites.